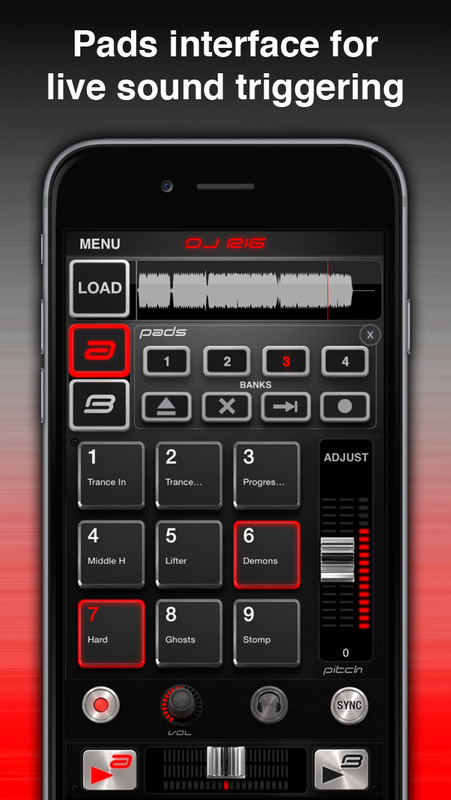 DJ Rig is a full-featured, double-deck DJ mixing app for iPhone. It provides instant song-playing from the device’s music library, automatic tempo sync and beat match, sample-based pads and performance recording, plus an arsenal of high-quality DJ effects. 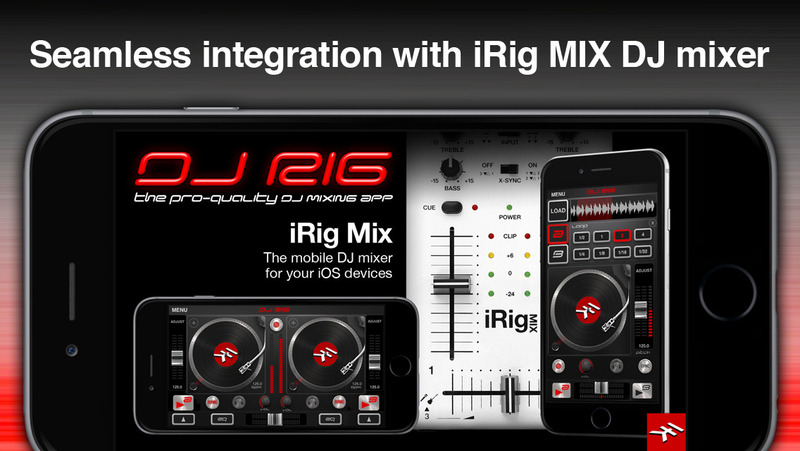 When used with the new iRig MIX audio mixer for iOS devices, DJ Rig provides the most portable professional setup for mobile DJs and musicians. DJ Rig has many professional features not found in other DJ apps like its unique beat match, its selection of 12 high-quality DJ effects with XY control, built-in sampling pads, multiple cue points, crossfade curves and X-Sync. X-Sync (available when used with iRig MIX) enables anyone to automatically synchronize the app audio with any other external audio source like a second iOS device but also regular CD or MP3 players.